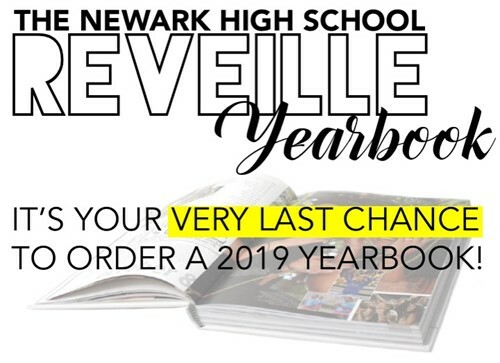 The Newark High School yearbook will be distributed in May, but parents and students only have through April 20 to order a copy. Yearbooks are sold at the cost of production at $55, and ordering is easy. Simply go to yearbookordercenter.com and use school code 13903, or just search "Newark High School." Payment by cash or check is also accepted at the high school. Please make checks payable to "Newark High School Yearbook." For questions, please E-mail nhsyearbook@laca.org.